"May we be those who shall renew this existence." "(...) I personally feel very strongly that those of us who have a spiritual awareness have a vital contribution to make, in a way that brings together our own inner awakening and inner awareness and the present global situation. specifically (...) the state of mystical oneness and its relationship to the whole of life." + What is the foundation for real global change? + How can the individual affect the whole? Come this Feb, 17th Berkeley, California, an event of discussion, meditation and consciousness opening is arranged that will combine an inner and outer exploration of oneness. Sufi teacher Llewellyn Vaughan-Lee will explore how an awareness of oneness is the foundation for any real change, and the Global Oneness Project will use films to show how oneness is lived around the world. 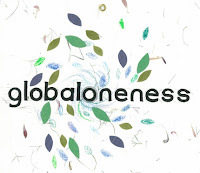 The Global Oneness Project |A global inquiry that seeks to inspire dialogue about new ways of working in our interconnected world, and to discover and document the diverse ways in which the emerging consciousness of oneness is impacting people's lives. Traveling worldwide with a small camera crew, they interview people from a variety of disciplines whose work is grounded in a perspective of oneness. & www.globalonenessproject.org for more info. What is awareness of oneness? Awareness of oneness is a simple spiritual practice in which we see that our essential nature is part of life. i was introduced to the concept of mystical oneness by a wonderful talk of Llewellyn Vaughan Lee titled, Awareness of Oneness. on many occasion while listening to this particular talk, many interesting doors of perceptions were opened which i am unable to put into words. i remember one time in Brunei in South East Asia while traveling alone on a river i was listening to this talk and i will never forget that experience of momentary oneness. it was so intense ... and also embarrassing as well. i remember the embarrassing part of trying to hide my unceasing flow of tears from other strangers on the boat. You may listen to this talk and experience for yourself. Every momentary experiences are unique, so its unfair to expect what came to me will come to you, may be something more beautiful will unfold. as Llewellyn says, "We are a part of the living substance of God that is in constant motion as It reveals Itself again and again, “never in the same form twice.” Each moment is complete, and each moment is a part of life’s continual outpouring." [>] Awareness of Oneness (mp3 audio) | Recorded in November 2004 at the Center for Spiritual Enlightenment, San Jose, California. A Sufi Teacher in the Naqshbandiyya Mujaddidiyya Sufi Order, Llewellyn has specialized in the area of dreamwork, integrating the ancient Sufi approach to dreams with the insights of modern psychology. 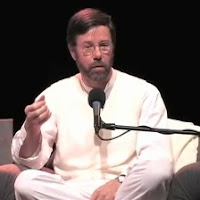 In recent years the focus of his writing and teaching has been on spiritual responsibility in our present time of transition,and the emerging global consciousness of oneness. Author of several books, including Alchemy of Light: Working with the Primal Energies of Life, Awakening the World: A Global Dimension to Spiritual Practice, and The Face Before I was Born: A Spiritual Autobiography, he lectures throughout the United States and Europe.